A Fort Worth man was arrested early Sunday morning after allegedly breaking into the Texas Capitol building and defacing a portrait, according to the state Department of Public Safety. A Fort Worth man was arrested early Sunday morning after allegedly breaking into the Texas Capitol and defacing a portrait, according to the state Department of Public Safety. Tanner Christian Graeber, 22, faces burglary of a building and criminal mischief charges, which are both state jail felonies. At about 3:30 a.m., a DPS trooper saw him climbing the scaffolding on the south side of the Capitol, which is currently undergoing renovations, a news release from the statewide law enforcement agency said. According to details from a preliminary investigation, Graeber is accused of breaking a window to enter the building on the second floor and "intentionally damaging" a portrait of former Gov. Fletcher Stockdale while there. He was then arrested "without incident." Stockdale, who was elected lieutenant governor in 1863, led the state for two months in 1865 when then-Gov. Pendleton Murrah fled to Mexico after the fall of the Confederacy. He then handed over power to a provisional governor appointed by President Andrew Johnson. 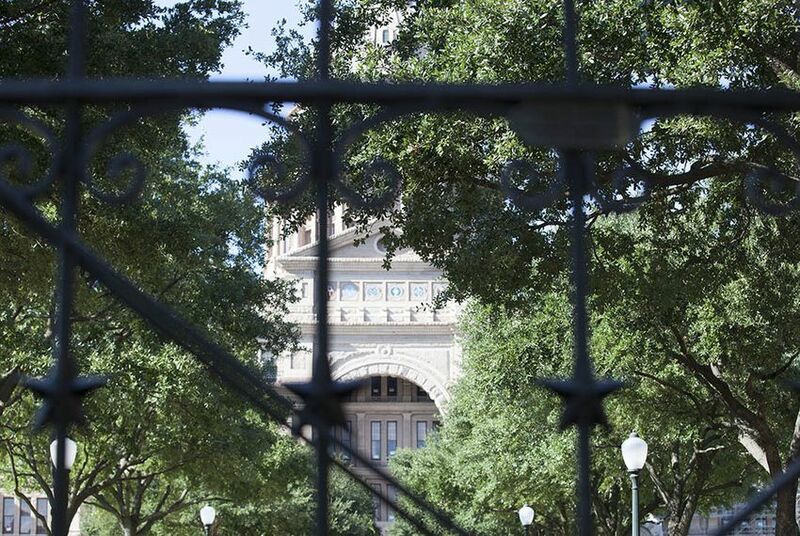 A monument celebrating African Americans is being installed at the Texas Capitol. The main entrance of the Capitol reopened in August after being closed because of security concerns.